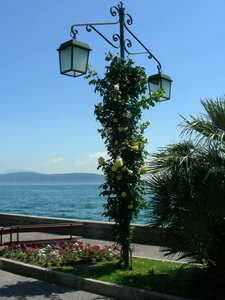 LAKE GARDA Newsletter - The must-see city of Venice! Autumn is upon us now, and there's definitely a bit of a chill in the air! But this newsletter will hopefully warm your hearts because I'm going to talk about a very unique, wonderful & romantic place: the city of Venice. There are two main reasons why I want to talk about it: 1. It is particularly special for us, as we were engaged there; 11 years ago now! and 2. It is a great place to go for an excursion from Lake Garda, especially starting at this time of year - in the autumn and winter. If you want it quieter, that's the time to go, as it is very busy with tourists between the months of April to September. So why should you visit Venice? Well, Venice is just as romantic and beautiful as it looks on the travelogues and movies, so you certainly won't be disappointed. We certainly weren't! Nestling in a blue lagoon, it is a facinating city; so unique! Elegant Venetian buildings and palaces peer over the ancient maze of narrow streets and labyrinth of canals and singing gondoliers that contrive to its charm. Here are a few interesting facts about the city: Venice stretches across a series of 118 islands distributed throughout the marshy Venetian Lagoon along the Adriatic Sea in northeast Italy. As the wealth of the city increased and its population grew, the composition of the city grew ever more dense and today only a handful of the islets that constitute the historic centre are not entirely developed. So now that I've talked you into going there for a day trip, you're probably wondering how to get there from Lake Garda. 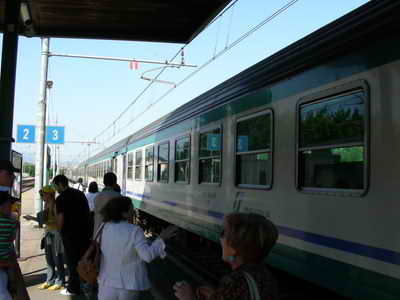 The easiest way is to just hop on the train from either Desenzano or Peschiera, and it'll take you directly there. It takes around 90 minutes. Also, tourist buses often run from Garda town to Venice. 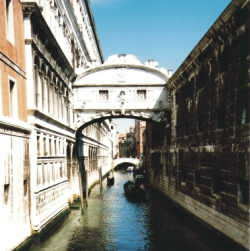 Take a look at our page below on excursions to find out a bit more about Venice and other exciting places to visit! 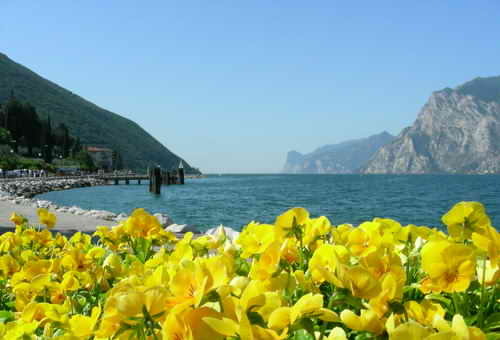 This traditional Lake Garda Marathon is a delightful race in stunning natural scenery. This autumn, the festival will be over 3 weekends. It's a local event to celebrate the harvest of the chestnut. There are many food stands too that you'll enjoy! This is a nice vintage market that invites you to come anytime from 9 am to 6 pm to check out some good deals while you have an enjoyable walk along the lakeside in Gardone Riviera. In November every year, the Verona fairground hosts the International Horse Fair Fieracavalli, which is one of the most important fairs about horses and riding sport worldwide. Hotel Villa del Sogno is located in a splendid position, on a hill side stretching all the way down to the lake. This romantic fin de siècle villa is surrounded by a large, age-old park with tall trees and flowering gardens, featuring a superb terrace and overlooking the azure-blue waters of Lake Garda, which has always enchanted travellers from all over the world. Guests can enjoy sailing, rowing, motorboating, swimming, and water skiing, or just taking a walk on the dock nearby. The hotel is also home to the modern Momento Benessere wellness centre, offering emotional and steam showers, body scrubs, face and body mud applications, as well as relaxing and equilibrating massages. During your next visit to Lake Garda make sure that you take a day to visit the amazing and romantic city of Venice. It really is worth it, and I can guarantee it'll be an outing you'll never forget!